A handle activated locking mechanism consisting of three 1” diameter locking bolts. Each one is drive resistant, chrome steel with a long throw. 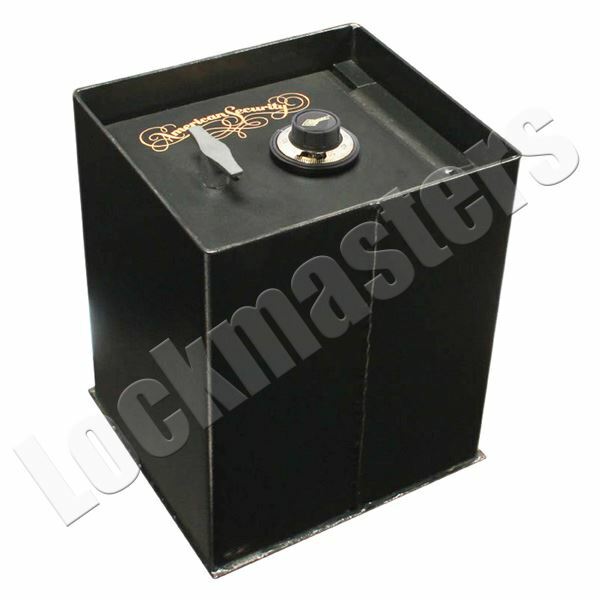 Large, convenient 10 ¾” x 11-1/8” door opening for bulky items. Solid steel hinge mechanism using 3/8” diameter steel hinge pins and internal mounting bolts.